Good morning, did you catch Axios on HBO last night? We talked about climate change with Bill Gates on climate change, who is the topic of my latest column. I'll share that, and then Ben will get you up to speed on other news. Meet Bill Gates. You know him most as co-founder of Microsoft and one of the richest people on the planet. The intrigue: Talking recently at his private offices overlooking the water in Kirkland, Washington, near Seattle, Gates went wonky more than he went visionary. He didn’t criticize President Trump’s positions dismissing climate change, even though he's spent a significant amount of energy trying to change his mind. Instead, Gates is sounding the alarm about discord over how to solve the problem. He said people who are laser-focused on solving climate change with only renewable energy are just as bad as those blocking action. Some grassroots environmental groups, led by 350.org, have found support for a renewables-only strategy in Rep.-elect Alexandria Ocasio-Cortez (D.-N.Y.), a rising progressive star who is pushing for such a policy with Democrats now controlling the House. “That general impression that ‘Oh, it's just about solar and wind,’ that I think is as dangerous to us as the fact that in one country, the U.S., there's a faction that associates with ‘Hey, let's not make any trade-offs to go in and solve this problem.’"
The big picture: Gates is imploring people to realize that addressing climate change means changing the fundamental way our lives are run, which ultimately means the entire global economy. “You know for example if synthetic meat works that actually is a pretty big deal. But that's at an early stage. If electric cars become mainstream products, which they are not today, that’s also a little piece of the problem." 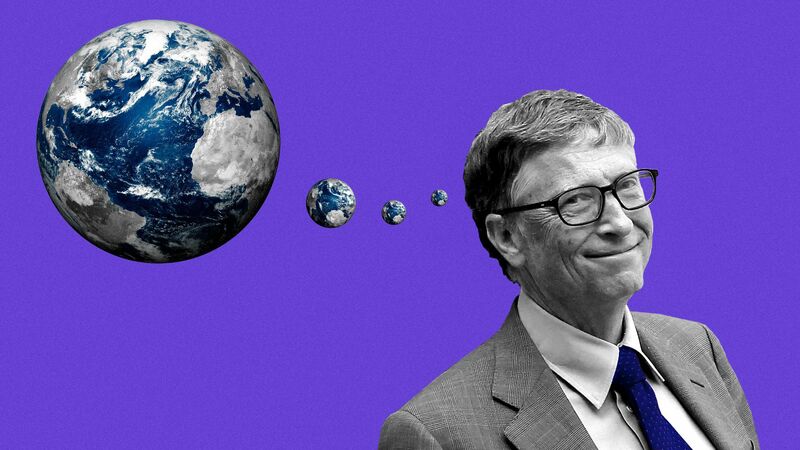 Gates said he was optimistic that humanity can tackle climate change, but he didn’t exactly show it. Go deeper: Click here to read the whole column, including info about his new investments in this area. 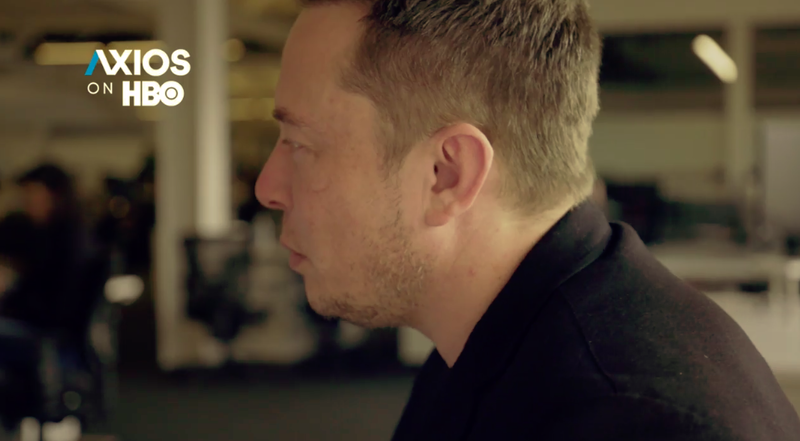 Tesla CEO Elon Musk says his electric car company was close to death over the last year — within "single-digit weeks," he told "Axios on HBO" — during the troubled ramp-up of the mass market Model 3. Driving the news: Musk called the Model 3 buildout "production hell," and watched as his own erratic behavior — including an ongoing scrape with federal authorities — contributed to a plunge in Tesla’s share price. Why it matters: As we wrote about Friday in the Axios stream, the price declines will fuel the already intense focus on the December 6 OPEC meeting, where the cartel and allied producers — notably Russia — will decide on potential output cuts aimed at tightening the market. The intrigue: President Trump has recently been celebrating the price declines and putting public pressure on Saudi Arabia to keep prices low — at the same moment he's signaling a hands-off approach, for now, over the murder of journalist Jamal Khashoggi. Speaking of oil and the Saudis, Bloomberg chatted with Saudi Aramco CEO Amin Nasser about the state oil giant's investment plans . . .
"The world’s biggest oil exporter is earmarking $500 billion to invest over the next 10 years, including $160 billion for natural gas developments and $100 billion for chemicals projects," they report. That's over above plans to spend roughly $70 billion on a majority stake in Sabic, the big Saudi chemical company. Why it matters: As the Bloomberg piece notes, it's part of the kingdom's effort to diversify its economy, which is heavily reliant on crude oil sales. Axios' Andrew Freedman on a vital study released during what's often a dead zone for news . . . The Trump administration chose Black Friday for the release of a major new climate science report, warning of "hundreds of billions of dollars" in annual losses to some economic sectors without scaled up actions to adapt to current changes and slash emissions to avoid future warming. Why it matters: The report by scientists from 13 federal agencies concluded that lives and property are already at risk in the U.S. due to climate change. Details: It points out that the era of climate consequences for the U.S. is well underway, and only actions taken in the next few years can be effective in addressing the scope and severity of the problem. The authors warn that neither climate adaptation nor the pace of emissions cuts are keeping up with the severity and swiftness of the challenge. Go deeper in the Axios stream, and Andrew also more here on the controversial timing of the study. The report Andrew wrote about came up on several Sunday talking head shows, marking a rare moment when climate is part of the weekly gabfests. Why it matters: The discussion offered a window onto how prominent politicians, including potential Democratic White House hopefuls, are addressing the topic. Sen. Amy Klobuchar, the Minnesota Democratic who may test the waters, said on ABC's "This Week" that "we have to make this a major issue going into next year." "This is exactly what NASA and our military have predicted for years, and it’s time to act on it." "So the administration can’t on one hand issue this devastating report showing the facts and then on the other do nothing. It’s time to act." Vermont's Bernie Sanders, who is weighing another bid, said on CBS's "Face the Nation" . . .
"What Congress has got to do is take Trump on, take the fossil fuel industry on, and transform our energy system away from fossil fuel, to energy efficiency and sustainable energies like solar and wind. " Over on CNN's "State of the Union," Iowa Republican Joni Ernst signaled skepticism of the overwhelming scientific consensus that current global warming is caused almost wholly by human activities. "[W]e know that our climate is changing. Our climate always changes. And we see those ebb and flows through time," she said. However, Ernst also talked up Iowa's substantial renewable power industry. Nebraska GOP Sen. Ben Sasse called the report "important," but declined to endorse the dominant scientific view that's shared by federal agency experts, instead calling humans a "contributing factor" to climate change. Speaking on "Fox News Sunday," he said "I think the real question, though, becomes what do you do about it? Because you can't legislate or regulate your way into the past. We have to innovate our way into the future." Amy's got the latest on industry maneuvering over an Obama-era climate policy . 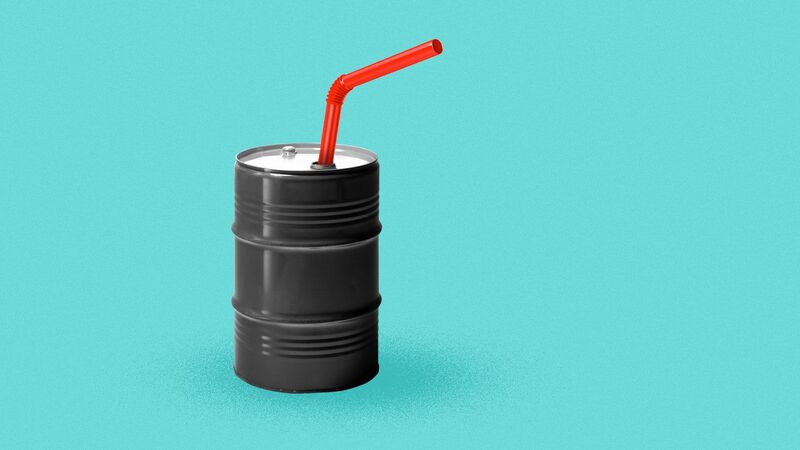 . .
A coalition of manufacturers and chemical makers argue in a new report that the impact on consumers would be limited if the Trump administration and Congress approve a global deal on climate change first agreed to by the Obama administration. The big picture: Named after the Rwandan city where it was signed in October 2016, the Kigali amendment to the Montreal Protocol, an environmental treaty, phases down the use of potent greenhouse gases known as hydrofluorocarbons (HFCs). HFCs are emitted from refrigerants in appliances like air conditioners. Details: Businesses affected by the Kigali amendment support it largely because they stand to benefit financially with new products coming online to comply with it. 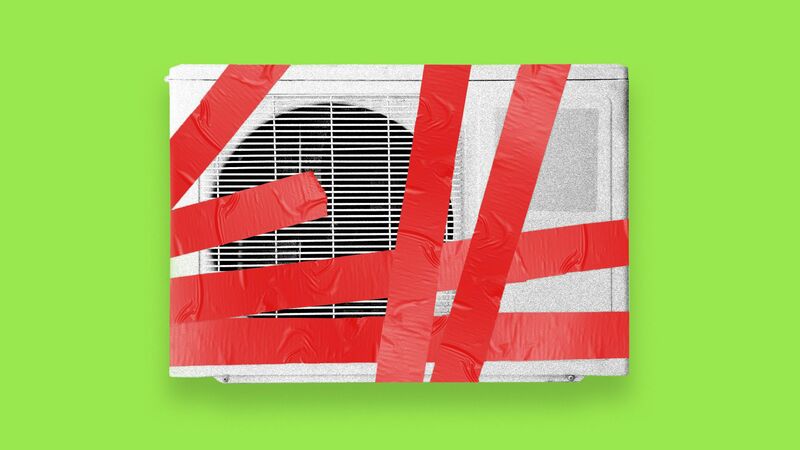 Despite that support, the amendment is facing a skeptical audience in the Trump administration due to concerns about consumer costs when maintaining and purchasing new air conditioners. In response, two industry groups are set to release a report, obtained by Axios, that shows consumers save a little bit — about $6.50 a year — with adoption of the policy. With the policy, consumers would pay on average $1,191.29 a year for their air conditioner, compared to $1,197.74 without it. The report warns of "market chaos" that could lead to high prices and obsolete equipment if rules are implemented without coordinating the phasing down of refrigerants, as laid out in the Kigali policy. What's next: For the policy to go into effect in the U.S., the State Department needs to send it over for review and eventual vote in the Senate. That hasn’t occurred, and there’s no sign it will anytime soon, according to people familiar with the process. 7. Trump to Iraqi PM: How about that oil? Axios' Jonathan and Alayna Treene report . . .
Why it matters: Trump's desire to raid Iraq's oil is illegal and unworkable. But it reveals a great deal about his approach to the Middle East. Trump remains hellbent on extracting payments from Middle Eastern countries, in the form of natural resources, for the trillions of dollars America has spent since the early 2000s. Go deeper: Inside-the-room details in the Axios stream.